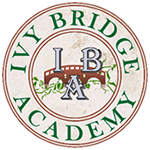 Language & Literacy English Tutoring in Alpharetta, Johns Creek, Suwanee Ga.
Ivy Bridge Academy is offering The Magic Pen Book Club weekend sessions as part of our Language Arts and Literacy Programs. The Magic Pen Book Club is open to all students entering 3rd-5thgrades (Group 1) and grades 6th to 8th (Group 2). The Magic Pen Book Club: Children will be required to read grade-level books, analyze literary styles, write summaries, discuss format, grammar and research topics of interest. By listening to stories read with expression and style, they will learn how to speak and express themselves creatively and forcefully. They will also be given the opportunity to discuss the elements of a good story, the descriptive words and the lessons to be learned. The Core Curriculum Standards will be used as a guide for instruction. Our goal is to instill a passion for reading good literature, learn the basics of creative writing and to express themselves properly before the group. Grace Webster – Master of Education, University of North Carolina at Greensboro, NC. Bachelor of Science, Appalachian State University, Boone, NC. Mrs. Webster has had many years experience teaching a variety of subject to all ages, including Language Arts and Literacy.